Cleopatra and Nefertiti were well-known for their beauty. But they didn’t have beauty magazines or a department-store counter to guide their skincare routines. They had to use what was available to them. Yet these ancient rulers were renowned for their beauty. Clearly, they chose wisely from among the plant-based potions offered to them. Luckily for us, we have an idea of what they were using to get their famous complexions. And it’s a plant that’s still available to us today. You’ve probably even used it before yourself. 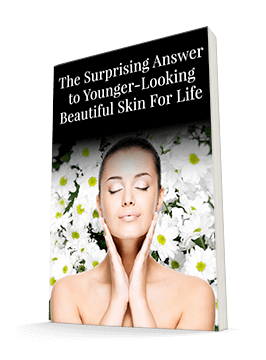 But you may not have taken full advantage of its beauty- and health-boosting benefits. I wrote about aloe vera just a few months ago. But there’s so much research coming out that shows that there’s a lot more to the aloe plant than meets the eye. Ancient queens knew they could use the sticky sap concealed inside the plant’s leaves to clear their complexions. Now we know why it worked – and what else it can do. You may have used aloe vera a time or two to soothe a sunburn. Hopefully, your days of letting your skin burn are behind you. But that doesn’t mean you should stop using aloe vera. After all, Cleopatra and Nefertiti were too busy ruling to spend time sunbathing. And they still found plenty of uses for aloe vera! One of the main reasons that aloe vera provides such effective sunburn relief is that it quiets inflammation. But, as I’m sure you know, you don’t have to have reached red-alert levels to benefit from something anti-inflammatory. Inflammation triggers redness, irritation, and even collagen breakdown. So keeping it to a minimum is key to a clear, youthful complexion. Aloe vera contains up to 75 active vitamins, minerals, and other components, many of which are anti-inflammatory. As we discussed in August, aloe contains the hormones auxins and gibberellins. Studies have found these hormones promote wound healing. But that’s not all of the anti-inflammatories in aloe vera. It also includes the enzyme bradykinase, plant steroids, and salicylic acid. 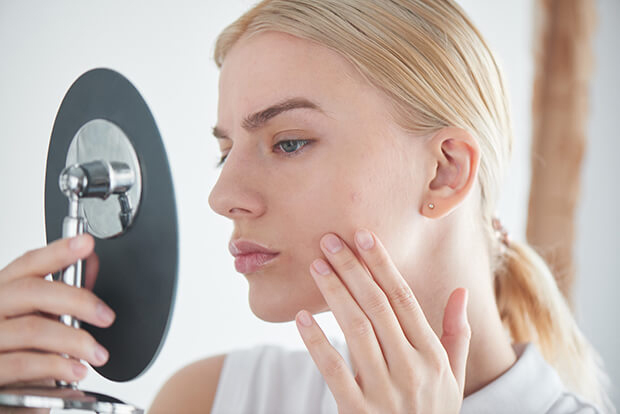 If you’ve ever needed to fight acne, you likely recognize salicylic acid as a key ingredient. It’s included in many acne products because it’s not only anti-inflammatory but also antibacterial. It helps reduce the redness and inflammation associated with acne while helping to eliminate the bacteria that can cause acne in the first place. You can get all of these anti-inflammatory benefits by applying aloe vera topically. Plus, you’ll get a hefty dose of vitamins, specifically vitamins A, C, and E. These antioxidant vitamins are superstars in the skincare field. They help to tighten, brighten, and moisturize. When you apply it topically, aloe vera can help skin repair itself and even grow new collagen. Plus, it binds moisture in the skin. It even reduces flakiness by helping epidermal cells hold together. The amino acids in the plant can soften rough patches. And it contains zinc, which acts like an astringent to shrink the appearance of pores. A study of people suffering from dry skin found that wearing aloe vera gel gloves improved the integrity of their skin. It also decreased wrinkling and made the skin less susceptible to sunburn. Plus, its antiseptic agents, like the salicylic acid I mentioned above, reduce acne and can help ward off other infections. You can experience all these benefits by applying aloe vera directly to the skin. But its benefits don’t stop there. Aloe vera has even more to offer if you ingest it. What Happens When You Eat Aloe? For starters, it contains seven out of the eight essential amino acids the body requires to build proteins. And you’ll get all those vitamins and minerals I mentioned above. Plus, it contains vitamin B12, folic acid, and choline. And it provides calcium, chromium, copper, selenium, magnesium, manganese, potassium, sodium, and zinc – minerals our bodies rely on to keep our enzyme pathways functioning properly. Speaking of enzymes, aloe vera gel also supplies eight enzymes. I told you about the anti-inflammatory enzyme bradykinase above. But when we ingest some of these other enzymes, our bodies put them to work breaking down sugars and fats. This helps keep our digestive system humming along smoothly. Aloe vera can even have a laxative effect, thanks to these enzymes as well as phenolic compounds called anthraquinones. They help increase water content and mucus in the intestines, which in turn helps us move waste out more easily and efficiently. It can even help relieve internal “burns,” as many people report that it soothes heartburn. And it contributes to a healthy microbiome in your gut. The anti-inflammatory benefits I described above work internally as well. When our immune system is stressed and producing excess inflammation, every cell in our body suffers. Aloe vera can help the immune system cool down this inflammatory response by supplying antioxidants to mop up inflammation-triggering free radicals. And that’s not the only way aloe vera partners with our immune systems. It helps reduce the release of histamine and leukotriene, inflammatory mediators linked to allergies. Plus, it triggers the immune system to produce and activate macrophages and T-cells. These warriors fight off viruses and other infections. In fact, the anthraquinone aloin neutralizes the herpes simplex, varicella zoster (chicken pox and shingles), and influenza viruses. These immune benefits help your skin indirectly as well. Many people get dark circles under their eyes when their allergies are in overdrive. And it’s easy for the skin to get raw and irritated when a common cold has you constantly mopping up a dripping nose. By avoiding these health issues in the first place, you won’t have to deal with the side effects on your skin. Clearly, if you have only been using aloe vera as a decorative houseplant or as a first-aid supply for sunburn, you’re missing out on some benefits. You can take advantage of this plant in a number of ways. Of course, you can apply aloe vera gel directly. (In fact, you can even break off a leaf of your houseplant to access the gel if you want to go straight to the source.) Or you can look for skincare products that use aloe as a base. It’s a great vehicle for delivering moisturizers and serums to the skin. If you want to ingest aloe vera, it’s easy to drink. Some people mix pure aloe vera with water to form a juice. (Don’t use the blue-tinted stuff from the sun care aisle for this.) Others prefer to mix it in a smoothie to help mask the taste a bit. You’ll also find it in ready-to-drink packages at many natural food stores. If you’re pregnant or nursing, you should stick to applying aloe vera topically. Because it stimulates the intestines, it’s possible that it could cause uterine contractions as well. And some mothers have reported that aloe vera can cause some gastrointestinal troubles in nursing babies. We all know that a laxative effect is generally the last thing you want in an infant! But applying aloe vera to your skin can help you maintain and extend your radiant pregnancy glow – even when you’re not getting much sleep. A few people also have allergic reactions to aloe vera. If it makes your skin red or irritated rather than soothing it, you may be in this camp. Discontinue use and check the archives for other good plant-based options for soothing your skin. For most people, however, aloe vera is a great option for helping the skin stay moisturized, firm, and healthy. If you’ve ever wished you could have the beauty routine of a royal, now you can.